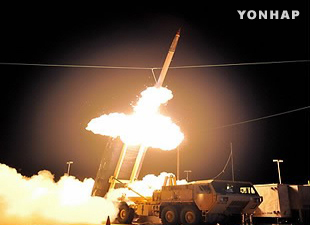 The Defense Ministry says it requested that the U.S. send information on the Terminal High-Altitude Area Defense system, known as THAAD, in order to domestically develop long-range surface-to-air missiles (L-SAM). A high-ranking ministry official said Thursday that a team developing the L-SAM requested information on the U.S.' Patriot PAC-3 missiles and the THAAD system in May of last year. The official said that the team received data on PAC-3, but not on THAAD. 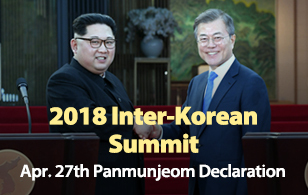 The official said that South Korean officials visited the U.S. and Israel as part of efforts to adopt PAC-3 missiles and to develop L-SAM and M-SAM. The officials reportedly received briefings on THAAD missiles from Lockheed Martin in the U.S., and on Arrow missile interceptor in Israel. The official said that South Korea collected the information not to purchase the systems, but to research similar systems around the world. The official said that South Korea will develop an L-SAM system with domestic technology, stressing that it has no plan to procure THAAD. The official, however, added that it would help counter North Korea’s nuclear and missile threats if the U.S. forces in Korea were to introduce the THAAD system. Earlier on Thursday, Peppino DeBiaso, the Pentagon director of missile-defense policy, said in an interview with Bloomberg news agency that the South Korean government requested information on Patriot PAC-3 and THAAD to understand their capabilities and costs.